Walmart Family Mobile PLUS keeps our family connected! Our teen daughter has always loved being outdoors and communing with nature. We lovingly refer to her as our little “hippie chick”. 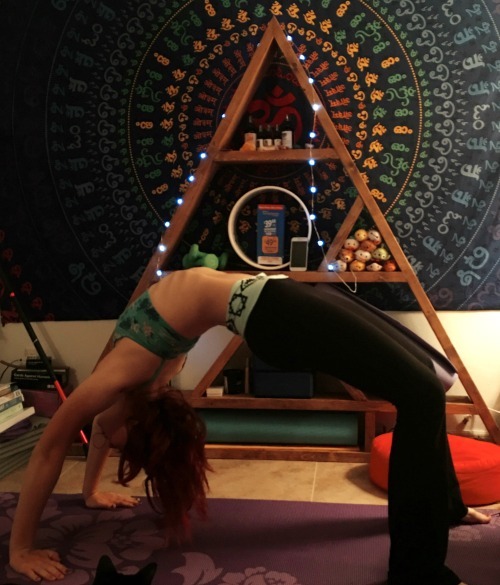 She is a true tree hugging, Earth loving, yoga performing girlie girl. 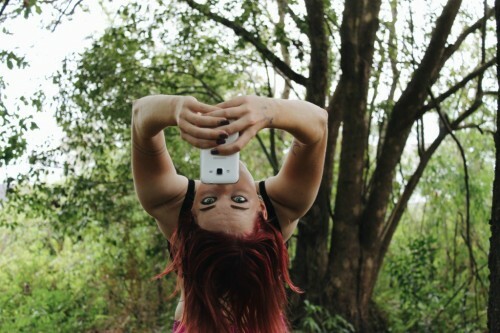 Walmart Family Mobile data plans keep us connected when she’s attending festivals in the enchanted forests of Florida. As parents, we want to keep our daughter as safe as can be while still allowing her the freedom that her soul requires. She has an innate ability to become one with her natural surroundings. She collects rocks and climb trees and is never afraid of getting dirty; much to her parent’s dismay. She always has some adventure waiting just around the corner. Keeping up with her as a child was impossible and drove this helicopter mom crazy. Now that she’s a young adult and can wanderlust to her heart’s content, I often find it difficult to reach her using the cell service we currently have. And Lord knows, we don’t want her using that data (2G lasts about 6 days) due to the expense, but we still want to be sure she’s safe when away from our home. We are expecting a nice chunk of change from our tax refund this year so I decided to treat Beloved (well really me so I can keep tabs on her 24/7) to a brand new phone with Walmart Family Mobile PLUS service. I always see the signs while grocery shopping at my local Walmart so thought we’d give it a try. 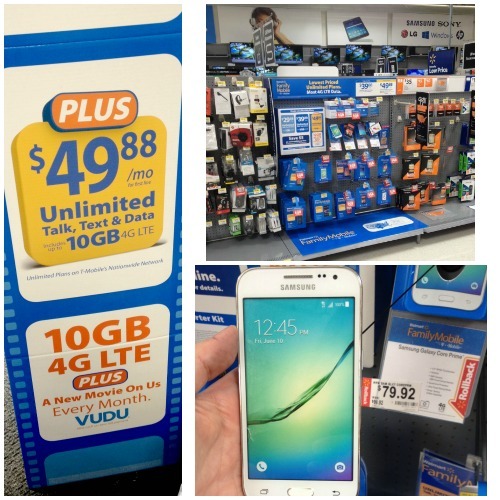 Walmart Family Mobile PLUS has Unlimited (yes Moms you heard that right) Talk, Text & up to 10GB of 4G LTE Data available for just $49.88 per line each month. Do you have any idea how much I am currently paying for another provider that doesn’t even offer Unlimited service? Too. Damn. Much. The plan comes with a FREE movie rental from VUDU each month, that’s a cool $7 value. No more $50 trips to the theater; now we get #DataAndAMovie! BONUS: Me and Just Plane Dad can cuddle up on the couch while the kid’s away and watch a romantic movie on our SmartTV. Date nights definitely PLUS up our life! The coverage in our area is excellent so I don’t have to worry about not being able to reach Beloved when she’s deep in the woods. They may not like me disrupting their whole Zen vibe, but it’s comforting to know that the phone will work if there is an emergency. Many plans can’t cover the great outdoors and we were able to Talk, Text and Snapchat without issue. 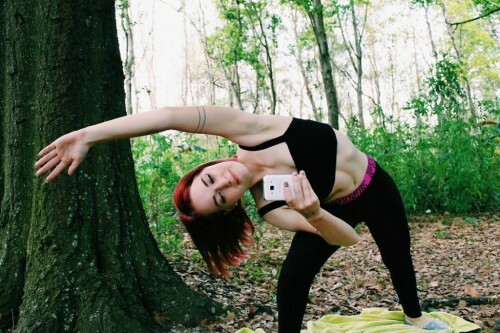 Beloved was most happy that she could research yoga moves on her new Samsung Galaxy Core Prime using the 4G LTE Unlimited Data. And we don’t have to worry about how long she spends surfing because it’s all included in the low monthly price. The phone was on rollback at Walmart for $79.92 from $99.92 plus the $25 Starter Kit needed to activate the phone service. Worth every penny. Disclaimer: All prices for phones and plans included in this post are accurate as of the date of posting; however, these prices are subject to change. Please refer to Walmart for current pricing. 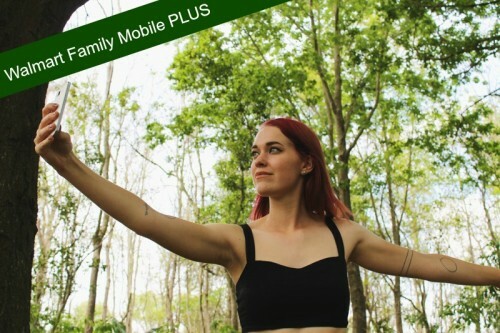 We’re thrilled that the new Walmart Family Mobile PLUS plan has Unlimited high speed Data that allows our daughter to share all of her yoga pose photos with us while she’s away. 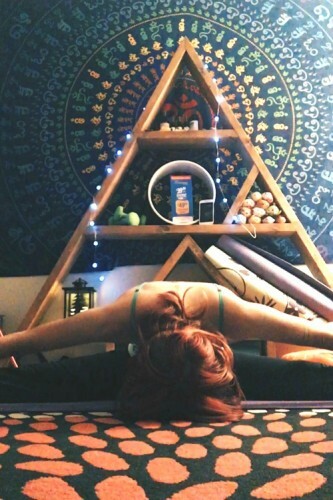 Slow Yoga=Good. Fast Data=Better. Walmart Family Mobile keeps our family connected no matter when and no matter where we are; and that’s exactly what we want! Are you looking for an Unlimited Talk, Text & Data plan? Want to put your tax refund to good use and try Walmart Family Mobile?